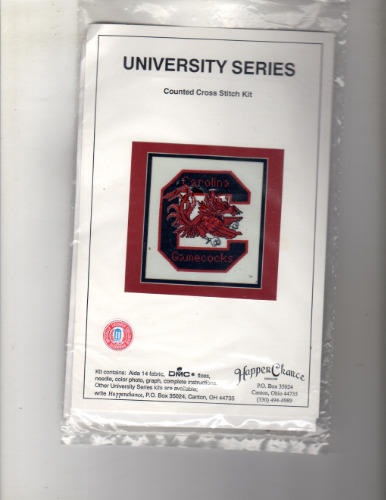 Just received is this out of print, very hard to find, Happenchance University Series Carolina Gamecocks counted cross stitch kit. It won't last long! !